In what may be his last two years atop the Senate Banking Committee before he hits a Republican term limit, Sen. Richard Shelby (R-Ala.) is looking to make some changes at the Federal Reserve. But passing anything in Congress these days is easier said than done, even with a Republican majority in each chamber. For Shelby it will require getting enough Senate Democrats and House Republicans – two caucuses rarely on the same side of any issue – on board with the same bill. At the core of any financial legislation emanating from Congress these next two years will be the relationship between Shelby and his House counterpart: Financial Services Committee Chairman Jeb Hensarling (R-Texas). Their ability to work together and navigate the political contours of committee politics may well determine the fate of any attempted Fed overhaul, which is shaping up to be the first major piece of legislation to require collaboration between the two chairmen and their staffs. The outcome of their efforts will likely set the tone for relations between the two committees in the 114th Congress. The good news for Shelby is that there appears to be a willingness among the Democrats on his committee to consider making changes to the Fed. Sen. Sherrod Brown of Ohio, the top Democrat on the panel, said at a hearing this month that the committee should consider tackling Fed governance. Last month, Jack Reed of Rhode Island introduced a measure that would require Senate confirmation for the president of the New York Fed. And just a few weeks ago, Sen. Elizabeth Warren of Massachusetts accused the central bank’s general counsel, Scott Alvarez, of being too cozy with Wall Street. Garnering enough Democratic support for a comprehensive measure will be a heavy legislative lift, but a manageable one, according to some former banking panel staffers. “The ability to get to yes in the Banking committee would require serious watering down of the Republican ideas put forward over the past few years and weeks,” said Brandon Barford, a partner at Beacon Policy Advisors LLC who worked for Shelby on the committee from 2006 to 2009. He added that Fed governance changes that disperse power to the 12 regional banks might be the key to getting enough Democratic votes, so long as they’re not accompanied by a push to require a Government Accountability Office audit of the central bank, which many Democrats see as a threat to the Fed’s independence. Last month, Sen. Rand Paul (R-Ky.) introduced his Audit the Fed measure, which drew sharp rebukes from Fed Chair Janet Yellen and the White House. “You basically have to pare back the auditing talk and you have to enhance efforts to push power out into the region—pick off members from more rural states, whose basic communities are underrepresented on the board,” Barford said in an interview. 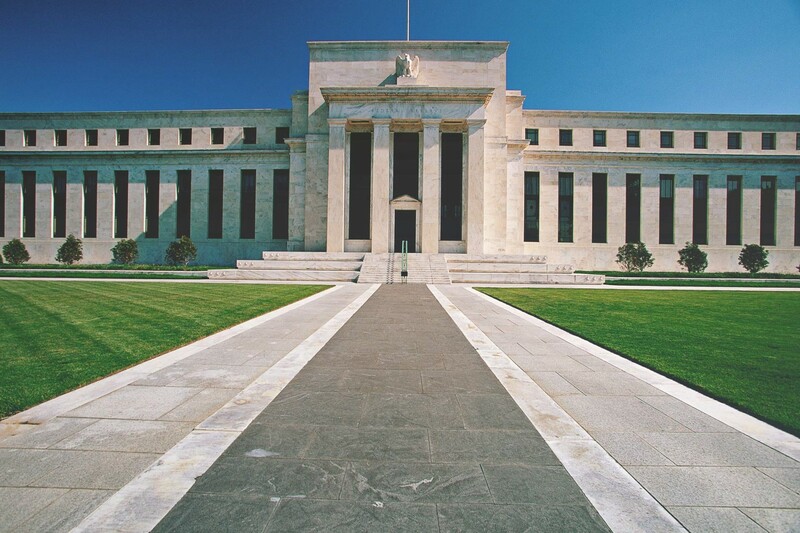 Empowering the regional banks is seen as one way for garnering support from senators in states with one of the dozen Federal Reserve branches. At the same time, Democratic opposition to imposing cost-benefit analysis requirements on financial regulators might be an impediment to compromise legislation involving Shelby, according to Mark Calabria, who worked under Shelby on the Banking committee before moving to the Cato Institute in 2009. Legislative talks are still in early stages, and no specific legislative package for Fed reform has been proposed yet, Shelby said on Thursday. Even if Shelby can get a Fed measure out of his committee with strong Democratic support, the prospects of getting similar legislation through the House is another hurdle. Hensarling’s committee has approved Fed-reform legislation in the past that included proposals that might be a non-starter for Senate Democrats. Last June, the panel approved H.R. 5018, a measure that would’ve mandated periodical audits and congressional notification of rule-making decisions, as well as cost-benefit analyses. The bill never came to the House floor for a vote. Bartlett Naylor, a financial policy advocate at Public Citizen who served as chief of investigations for the Senate Banking Committee in the late 1980s, said Hensarling and Shelby haven’t worked seamlessly together in the past, specifically on issues pertaining to the insurance industry. He also noted their differences on free market philosophies. “Shelby and Hensarling come at the issue of banks from different angles,” Naylor said. He pointed out that Shelby was the only Republican senator to vote against the 1999 Gramm-Leach-Bliley Act, which included the Glass-Steagall repeal amendment authored by Hensarling’s former boss, Sen. Phil Gramm (R-Texas). Gramm-Leach-Bliley allowed for the comingling of commercial and investment banking after 65 years of keeping the industries separate. Both Naylor and Calabria said that Shelby might be especially motivated to reach a compromise on the Fed-reform issue because he has less than two years before his term as committee chairman expires, and as a result this could be his last chance to leave a lasting impact on the U.S. financial system. “Shelby, as a veteran senator, is ideally more attuned to legacy,” Naylor said. But it remains unclear whether Hensarling is equally committed to a cross-party compromise. Senate passage of a comprehensive Fed-reform bill, however, would put more pressure on the House to act. Whether the two committees, and their chairmen, work together beforehand to make sure such legislation is agreeable to both sides is yet to be seen. “We’ll definitely take a look at anything that moves in the Senate committee,” Emerson said.